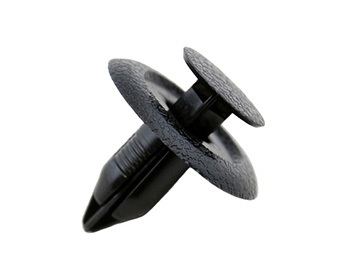 Superpro polyurethane rear lower wishbone outer bush kit. Supplied as a set of four, enough to do both sides, see the larger images to confirm placement on the vehicle. These amazing quality bushes require no special tools to fit, help prolong tyre life, offer greatly improved handling and safety and every kit comes with Superpro's unrivalled lifetime warranty! Why polyurethane? Standard rubber has traditionally been used for automotive suspension bushes, however it has some significant disadvantages such as being vunerable to abrasion and deteriorates when exposed to UV light and water as well as oil petrol and salt. 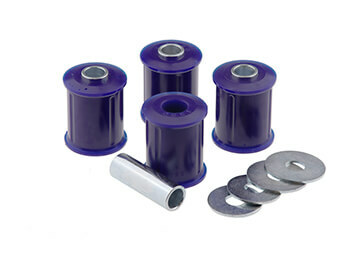 This causes the rubber to start to lose its elasticity and just as importantly its resilience. In time rubber will lose the shape it was designed to be. The car’s suspension components start to move to a position different from the ideal, with a loss of handling precision and predictability and accelerated wear of other components and tyres. Why Superpro? SuperPro has the largest range of aftermarket polyurethane bushes available and are currently manufacturing over 7000 products at their own facility in Brisbane, Australia.